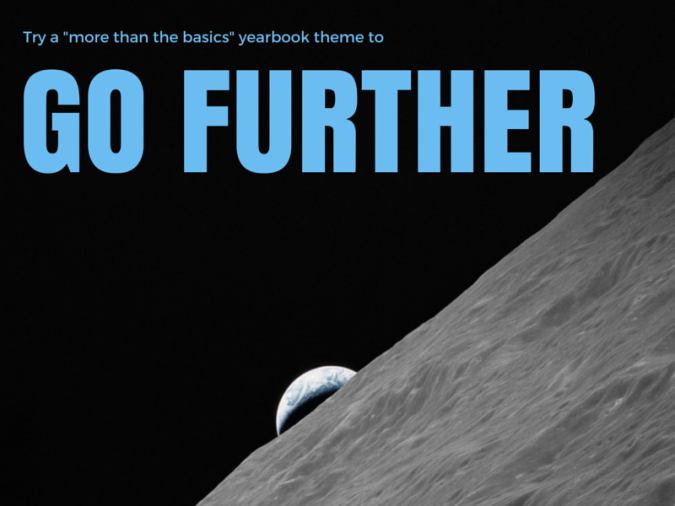 As you’re exploring all of the great ideas that your committee could use within the pages of your publication this year, I have one yearbook theme that you probably haven’t yet considered: “more than just the basics.” While it sounds like something that may have been popular twenty years ago, stick with me for a minute. Because it really is a super fun theme that your students will love, and one which you’ll be able to apply to pretty much any aspect of life on your campus today. Does that sound more like something you’re interested in? Good – now let me tell you all the ways this kind of theme could totally take your yearbook spread to the next level. When you’re looking for a theme that showcases how great the education at your school is, this one does it with ease. And you probably already know why! A “more than just the basics” yearbook theme gives you the creative power to showcase some of the fun ways you promote learning on your campus. These could include hands-on activities, field trips, and active learning experiences. Try grabbing a few photos of students having fun and learning while wearing lab goggles in science class. Something like that can be a great way to show how your school does “more than just the basics” when it comes to learning. And that’s an excellent way to help students feel awesome about the school they attend! Students don’t just want to play sports; they want to demonstrate how your school athletics are a step above the rest. So let them get a little creative and show you their hottest moves and tricks – how their team and their own skills go way beyond the basics. You might not have the next member for the Harlem Globetrotters hanging out on your basketball team (or maybe you do! 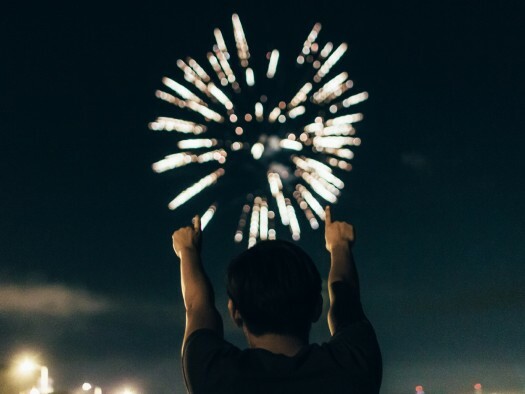 ), but either way, there are certainly some fun tricks or even just crafty Vogue poses that every team can create to build some excitement in your yearbook spread. And since all of this fits directly in with your yearbook theme, it’s easy to build super awesome (and fun!) 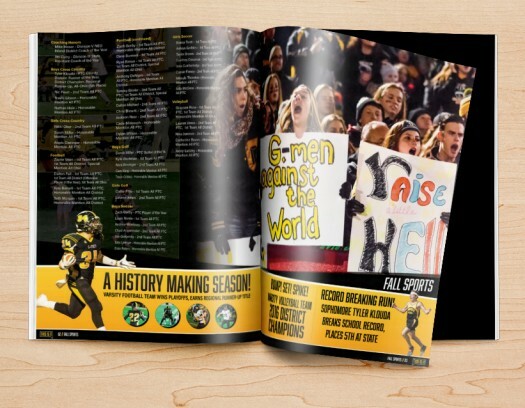 athletic photos into all of the sections in your yearbook spread. Where arts and other campus groups are concerned, your “more than just the basics” yearbook theme can really thrive. Each group at your school likely has their own vision of success and it probably goes way beyond what anyone would consider basic. Ask them to come up with fun photo ideas that demonstrate exactly why they’re so different from your basic group of debaters, orchestra members, etc. For example, the drama club could show off exactly how they use a stage trap door in a production. This is their chance to shine and show off what they do best. And it’s a great opportunity to infuse more of your school’s culture into the pages of your book! Ultimately, the yearbook theme you choose needs to fit your school. So as you’re thinking through how this particular option would function, be sure to consider how it will be embraced by your students. Is this something they’d love to create content for? Or is there a more direct theme that really fits your campus culture a bit better? 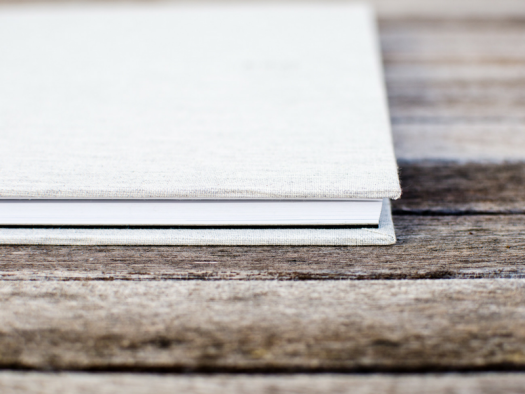 Try out this helpful guide to creating great yearbooks for some tips. No matter what you choose, you’ll know when you find the best theme for this year’s book – and we can’t wait to see what you do with it!